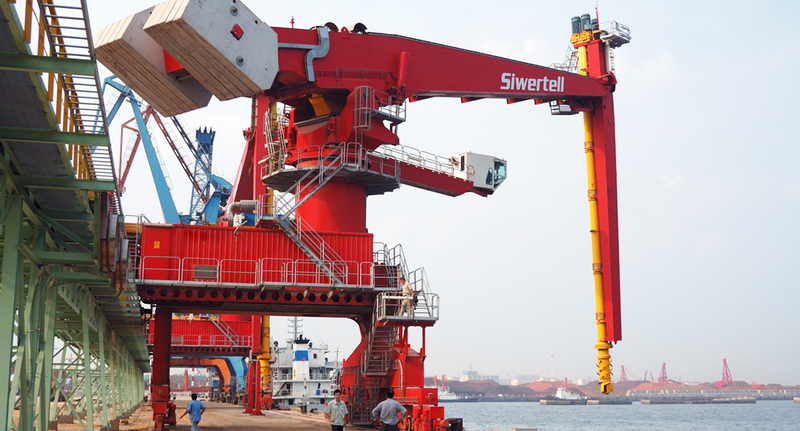 The motive of this order was to implement a dust-free handling system of cassava and to meet the rapidly increasing import quantity of dry bulk materials. 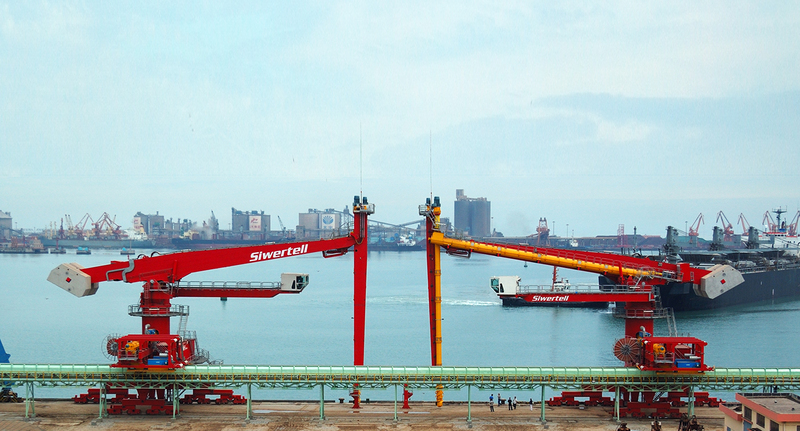 As the Siwertell unloaders can unload many different dry bulk materials efficiently and without spillage and dust pollution, the investment was fully in line with Rizhao Ports present and future needs. 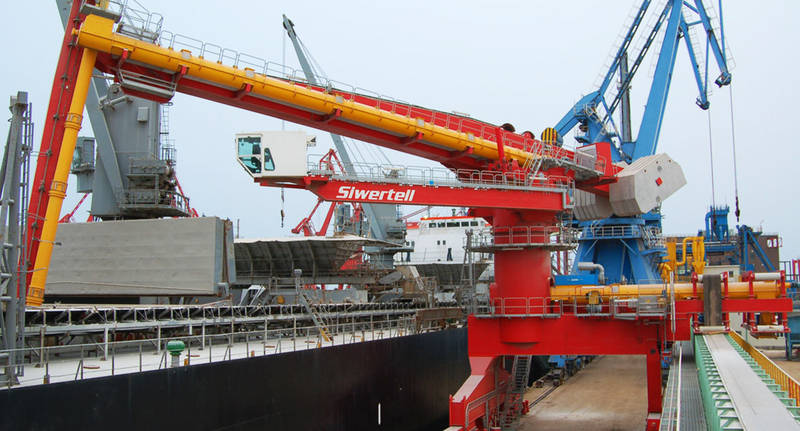 The two Siwertell unloaders have guaranteed capacities for handling of cassava (400t/h per unloader) and wheat, corn, soya beans (1000t/h per unloader). 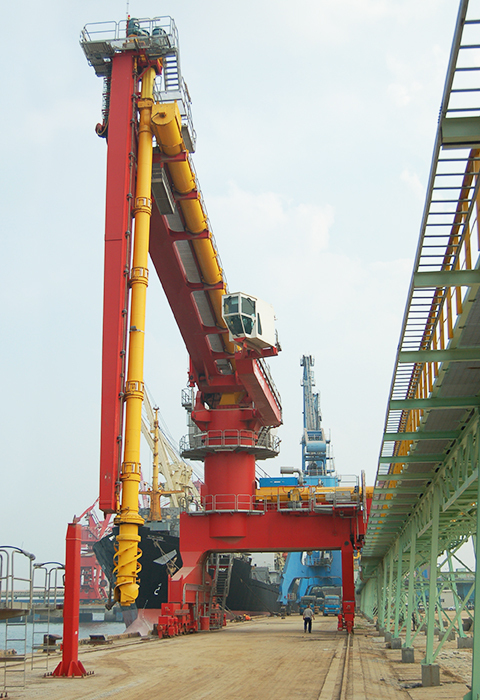 They can be operated from either a remote radio control or from an operator’s cabin on the unloder. 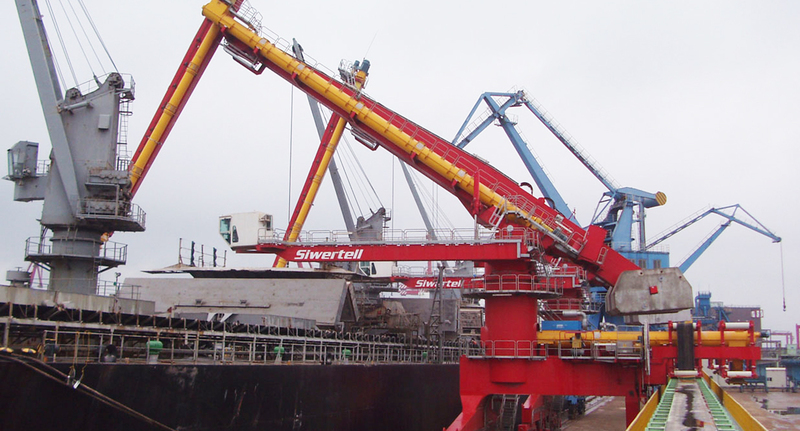 A control system (SiMon) specially developed by Siwertell allows for the operator to have easy control over the operation and all subsystems installed on the unloader. 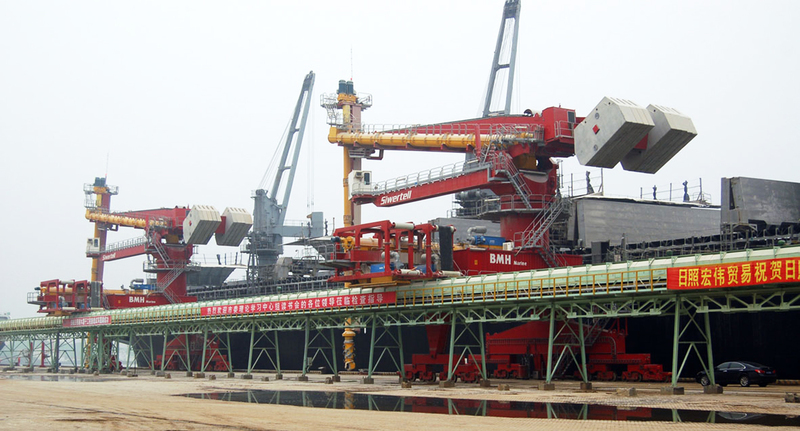 The rail-travelling unloaders discharge the material onto two belt conveyors running parallel with the quay. The conveying system on the unloader, consisting of screw conveyors and transfer chutes, is totally enclosed to ensure dust-free unloading. At the transfer point to the belt conveyors dust filters are also installed.